We are a leading Manufacturer of bulk bag filler, bulk bag discharger and cooling tower revamping service from Faridabad, India. We offer for the customer from all over India for this product. 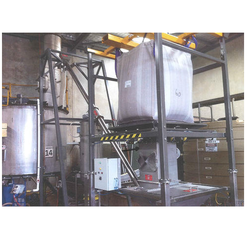 Machine also known as a Big bag filling Or Bulk Bag Filler. To empty or charging bulk / jumbo bags ARR offer special customized Bulk Bag Emptying system for products like Grains, Powder / semi Solids. We can empty bags on Recators, Sieves, Silos etc. and products can also be conveyed to desired location by attaching conveyors if spcae is not available. 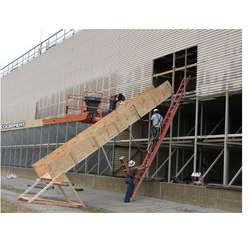 We have gained immense expertise in rendering Cooling Tower Revamping Service. These cooling tower revamping service rendered by us are executed by our proficient personnel, who ensure to utilize their commendable knowledge and rich experience in this domain. In addition to this, the cooling tower revamping services are provided to comprehend and meet the emerging requirements of clients. 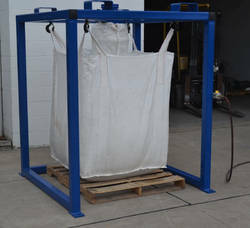 Looking for Bulk Bag Handling Equipments ?